Huge crowd of 2,000+ angry Bulgarians smashed windows and set off smoke bombs at Dzhumaya mosque in Ploviv as they step up protests against the country-wide litigation jihad by Islamic organizations trying to grab all the old mosque properties and Islamic buildings from the Ottoman Empire era. Tensions are also high due to recent wave of Syrian refugees and many Muslim illegal immigrants from North Africa after Greece closed its borders. Almost 2,000 Bulgarians gathered in front of a court in the country’s second largest city, Plovdiv, on Friday to protest a case that could see the return of the city’s historic Kursin mosque to the country’s Muslim community. The head of the Office of Bulgarian Islamic Affairs is filing for the return of the 528-year-old Kursun mosque as part of a series of cases requesting the government return foundation properties that were seized during the communist era. Another case, for the return of Hamza Bey mosque,was rejected by the Stara Zagora country court in Bulgaria in December 2013. Office of Bulgarian Islamic Affairs head Ahmed Ahmedov claimed nationalist and racist blocks in Bulgaria have stepped up their aggressive acts against local and foreign Muslims amid a recent influx of Arab and African refugees in the country. 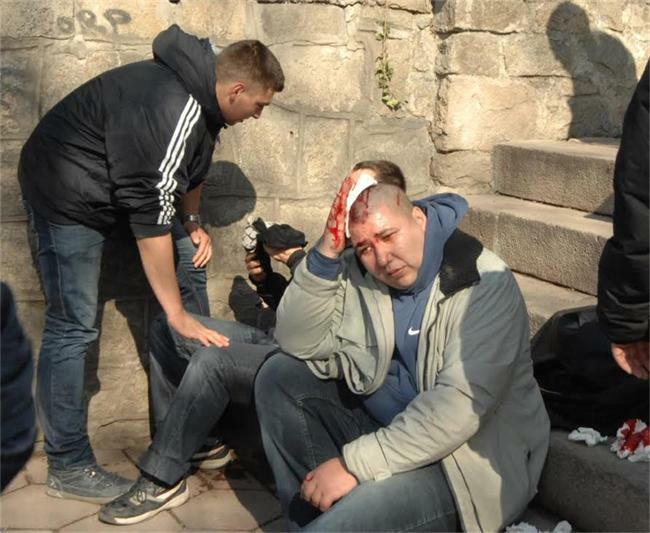 Hurling paving stones, rocks and fireworks, a large mob of protesters smashed windows of Plovdiv’s historic Dzhumaya Mosque in the centre of Bulgaria’s second city. 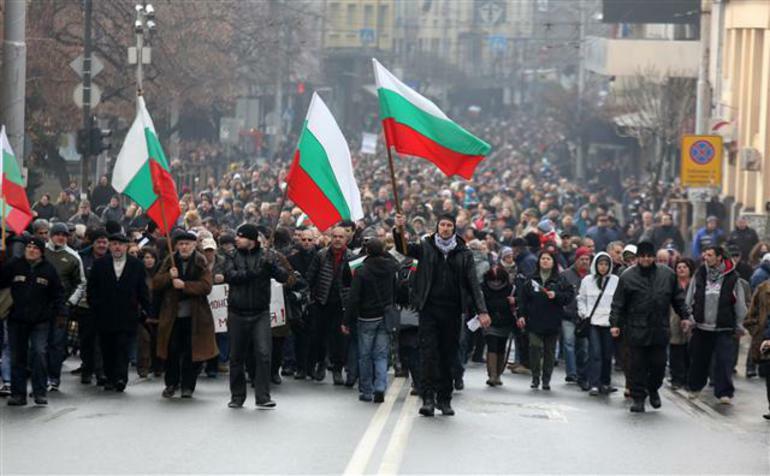 Demonstrators also marched in the direction of the city headquarters of the Movement for Rights and Freedoms, the party led and supported in the main by Bulgarians of ethnic Turkish descent, saying that they wanted to occupy the building. Demonstrators chanted “freedom or death” and “down with the MRF”. According to the February 2011 census in Bulgaria, just less than eight per cent of the country’s total population of about 7.3 million are Muslims. Muslim and Turkish symbols are a preferred target for hatred among ultra-nationalist groups in Bulgaria, who invoke the five centuries of Ottoman rule and claim a supposed plot to “Islamicise” modern Bulgaria. Protesters said, “We will not let the howling minarets to silence churches in the town of Levski. Today blood is not shed, there were only national flags. There was love and anger. We are only Bulgarians, who are fighting for our land. Plovdiv, come out to defend your city!"